If you like Control Dragon Paladin, she might just be the ticket. 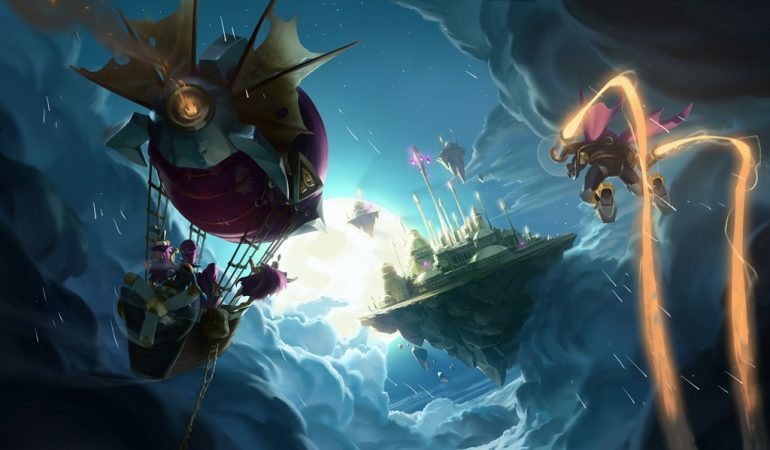 If you’ve ever played World of Warcraft and found yourself taking the long and arduous journey to the Caverns of Time, the newest Hearthstone card might be familiar to you. 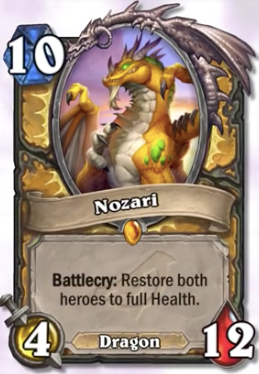 Nozari is a 10-mana Paladin Legendary Dragon, with four Attack and 12 Health. She doesn’t quite have the ability to time travel, but she does have the capability to take the game into her own hands (or claws). Nozari’s Battlecry restores both heroes to full health. The card is essentially a better version of the Druid Mill card, Tree of Life. She has four extra attack and 12 extra health for just one more mana. How could you go wrong? She’s a meaty target with the ability to trade efficiently, but she’s fairly expensive. She has a particularly slow pace, something that should work well in a Control Dragon Paladin Deck. It’s hard to say if her existence will make Control Paladin a driving force again, but she has potential. Some good theorycrafting will definitely be needed before her release. You can test her out for yourself when the Rise of Shadows expansion is released on April 9.